Nedbalka Gallery offers for rent exclusive premises in the city centre. The building hides an impressive interior with the structure resembling the Guggenheim Museum in New York. Area: 176 square meters. Dimensions: 13.5 x 13m. Height: 2.7m. Standing capacity: 150 people. Seating capacity: 100 people. Seating capacity: 25 people. Standing capacity: 50 people. Admission to the gallery including a guided tour, the possibility of the delivery of goods. 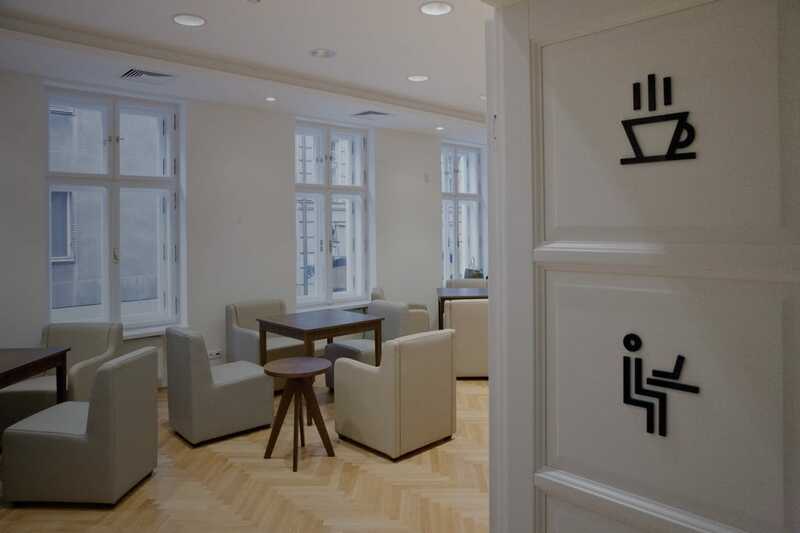 Rent price for the ground floor and Café: €150/hour plus VAT. 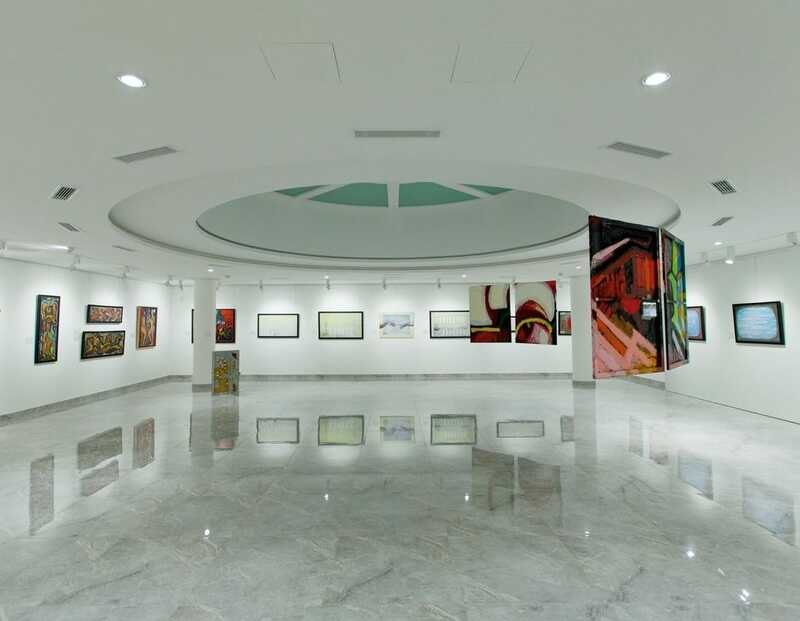 The price includes: 100pc of chairs, staff (receptionist, custodian, barista, and curators), admission to the gallery including a guided tour, the possibility of the delivery of goods. Rent price for the Café: €40/hour plus VAT. The price includes: chairs, staff (receptionist, custodian, barista, and curators), admission to the gallery including a guided tour, the possibility of the delivery of goods. Rent price for the ground floor: €110/hour plus VAT. The price includes: chairs, staff (receptionist, custodian, barista, and curators), admission to the gallery including a guided tour, the possibility of the delivery of goods. If you want to rent our premises write us an email or call us. Rent price for wedding and portrait photo shooting: €20/hour. Rent price for commercial shooting: €150/hour. The Gallery does not provide for catering and decoration. The Gallery also does not deal with price offers. The gallery is wheelchair accessible. All the floors are accessible by the lift (lift width: 80cm). The parties with a DJ are not permitted in the gallery premises. Any amendment to the price list must be agreed in writing with the Gallery management. for the purpose of sending news.